There are various components within a car’s suspension. As it plays such a fundamental part in a car’s relationship with the road, suspension is designed to fail in a relatively gentle manner. 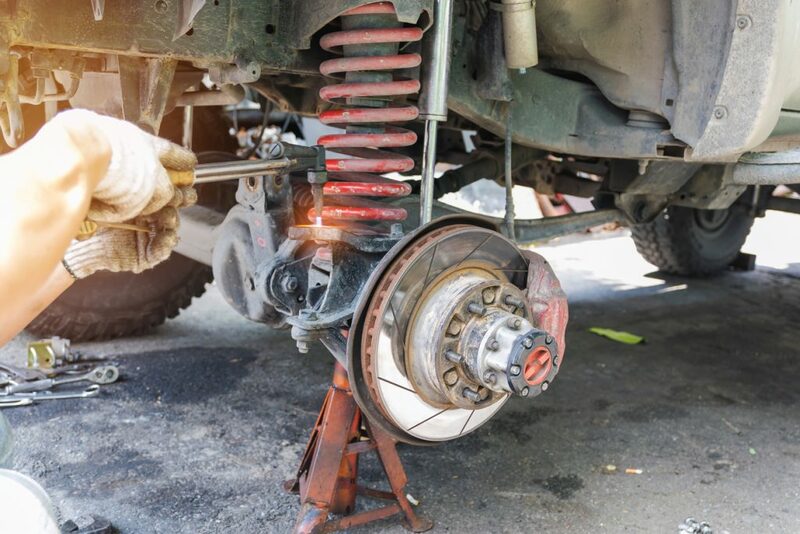 Most suspension problems we see are to do with a car’s springs. One of these can fail and you may only notice it when your car goes for its service or MOT and you’re presented with the bad news. Alternatively, you may hear a ringing clang type of sound when you go over bigger bumps. But springs can fail dramatically too. They are under a great deal of pressure and must harness a lot of energy. Depending on when a spring breaks, that energy might be released by the spring firing in a particular direction. On modern cars with large, wide wheels, the springs are very close to the tyre. If a spring does break, you might think you’ve just had a blow-out. Actually it is likely to be the spring puncturing the tyre. 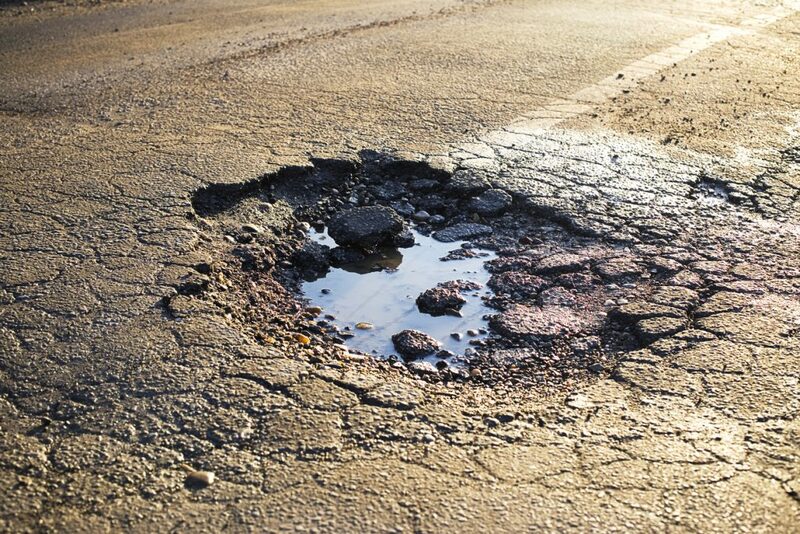 Anyone whose eyesight is good enough for driving can’t fail to notice the huge number of potholes on our roads. These get worse during cold weather. That’s because cracks and imperfections in the road surface allow water in. When the temperature drops, this freezes and expands. As a result, the potholes we’re all so familiar with are created. Is it just the roads? It’s easy to say potholes are entirely to blame. Or that speed bumps play a part by making suspension work harder. This isn’t strictly the case. Of course, passenger cars are built to put up with a degree of abuse. But they’re designed primarily for roads with sealed surfaces and not the sort of terrain more suited to tanks. The cars themselves play a part too. Over the years, motor makers have been under pressure to give cars ever more equipment while also reducing their weight. As we all want air-conditioning and airbags in cars with lower exhaust emissions, car makers have been cutting overall weight by using lighter materials for various components such as suspension parts. On some cars, the suspension simply isn’t tough enough to cope with the severe abuse that’s thrown at it. Our weather conditions are famously unsympathetic towards cars. If cars’ springs are made from metals that corrode they’re coated with plastic. However the repeated compression of springs and bombardment with foreign objects can cause this plastic coating to fail. This enables salt water to get in and the springs to rust and weaken. Other than avoiding every pothole out there and only driving on dry days in the summer, it’s impossible to prevent your car from suffering. However, when you wash the car, it should help if you direct the water underneath to clean the worst of the winter salt from the springs and other suspension parts. I read some years ago that springs these days to make springs, steel rod has the ends just chopped off without being properly annealed to temper the metal. Thus stresses that would have been removed at the manufacturing stage are still there when the springs are fitted. And, of course, springs were never intended to take the repeated flexing caused by speed humps, or the sideways twisting short width speed humps cause.